I recently partnered with Kungs, a Finnish producer of premium snow brushes and ice scrapers that are tested in the harshest Arctic conditions. Together we are helping spread the word on the exciting launch of these new products in the U.S. just in time for winter. Made in a country with some of the severest winters on the planet, Kungs products combine Scandinavian design and ergonomics with the innovation, durability, and multi-functionality to handle anything winter throws at drivers. 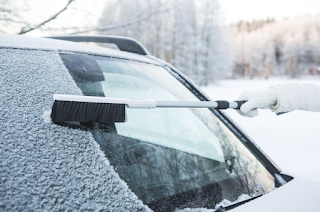 Kungs is the market leader in Northern Europe for winter car care accessories. 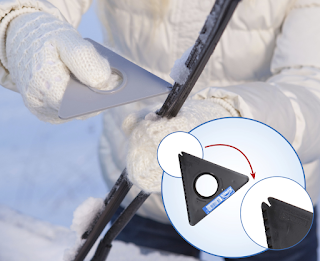 Kungs products are designed, tested, and manufactured in extreme Finnish weather conditions—including testing in sub-zero temperatures and UV radiation! All Kungs products come with a three-year warranty (which is unheard of in this category). Kungs products are PVC-free and made of 100% polycarbonate. Year after year, Kungs has won awards in third-party tests across Europe (including most recently in Germany). What does Super Savvy Mommy think? I was really impressed with my Kungs brushes and scrapers. Living in Michigan, we tend to get a lot of snow. There is nothing that I hate more than to spend money on snow brushes over and over because they broke or fell apart. I can tell that Kungs were meant to last! I have tried telescopic brushes before and they were very poorly made--this Kungs brush is not only meant to last but it has my husband super jealous and that speaks volumes. I mean, who gets jealous over a snow brush?! We give these Kungs brushes and scrapers 5 out of 5 stars!